Bloom: Who (or what) first inspired you to write? Who (or what) inspires you now? Ann Pancake: I was telling myself stories in my head before I learned how to read, so there was really no original inspiration other than boredom and instinct. I now write out of two different impulses. One is a drive to tell stories of people and land that are often overlooked and that are being hurt while the dominant gaze is elsewhere. Another is a need to translate onto the page the voices and sounds that I hear in my head that carry intense inchoate emotion. Bloom: Your novel, Strange As This Weather Has Been (Counterpoint 2007), was inspired by real events, including interviews with people who had experienced the hardships caused by mountain top removal mining. How do you balance real issues and the experience of real people with narrative when crafting a work of fiction? AP: My approach is to take in as much factual “real-life” information as I can, take it in deeply, and to let it compost. Then I write the fiction without thinking deliberately or consciously about all that composted material, trusting that it will manifest in my narrative and characters without my intentionally putting it there. After those early drafts, I go back and see what is missing and what is factually “wrong,” and at that point, if necessary, I will tweak and add and subtract material in a way that keeps the “real-life” true while still preserving the art of the narrative. Bloom: Your latest book is described as a collection “whose characters are intensely connected to their land—sometimes through love, sometimes through hate—and who suffer brokenness and loss, often because of how the land itself is suffering.” Do you consider yourself an “environmental” writer? How does your own personal connection or experience with the land influence your work? AP: I do consider myself an “environmental writer,” if one means by “environmental writer” a writer who advocates for the natural world in some way. But I don’t consider myself only an environmental writer. The relationship between my writing and the land is very direct. Both my fiction and nonfiction are usually triggered by a specific place, a very particular piece of wild or rural land. Sometimes that’s an imagistic memory of a place in West Virginia where I grew up. For example, the story “Coop” in my new book happened like that. Other times, I’m out walking in land, in the Northwest where I live now or back home in Appalachia, and I’ll start hearing a story. I can get the core of the story intuitively while walking, usually about five pages. “The Following,” “Sab,” and “Mouseskull” all arrived that way. In other words, it often feels like the stories and essays come out of the land. I don’t necessarily mean that figuratively. Bloom: You’ve been described as “Appalachia’s Steinbeck.” How do you respond to this description? What are the pros and cons of having your work attached to a particular region of the country, or a particular author? AP: Well, I don’t think anyone would seriously consider me of the stature of Steinbeck, so I don’t feel there are pros and cons with that attachment because it’s not even an issue. The “Appalachian” part is more fraught. Just as I consider myself an environmental writer but not only that, I consider myself an Appalachian writer, but hopefully more than that. Any time one has her work attached to a region, there is obviously a risk of her audience being restricted to mostly readers who are interested in that region. Another problem with being considered “Appalachian” is that publishers and some readers have narrow, outdated, and, frankly, usually insulting expectations of what “Appalachia” is and what “Appalachian writing” is. 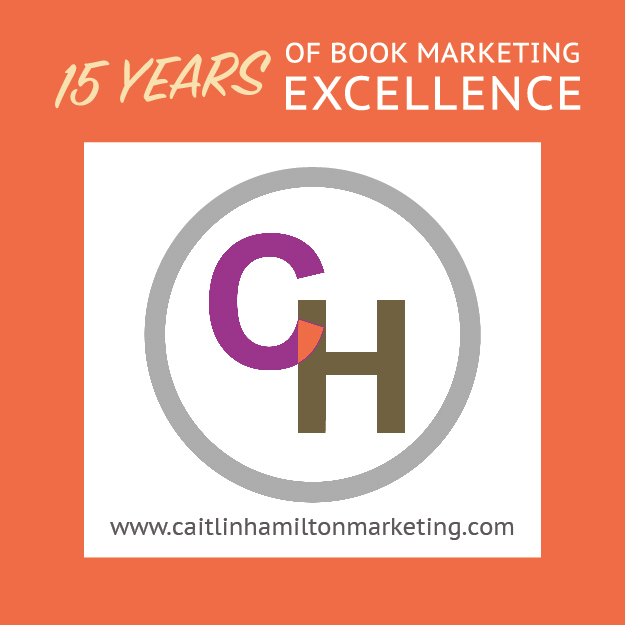 If a writer doesn’t meet those expectations, she’s less likely to be published by mainstream publishers. I think if you look closely at books about Appalachia that are popular and widely available, you’ll discover that most are written by people who are not Appalachian. This has been the case since the local color movement in the late 19th century. In the meantime, there are all kinds of Appalachians who are writing original and powerful work about their region but who get far less attention because their truth-telling doesn’t match what people expect to read about our place. Finally, I have to say how grateful I am to have grown up in Appalachia because of what it gave me as a writer: a profound sense of place; constant exposure to story-telling; and a language more interesting and far more inventive and flexible than standard English. Bloom: Your website provides links to information about mountaintop removal mining so readers interested in the subject matter can educate themselves about the issues. Are there other social or environmental issues you’d like to explore and expose with your work? AP: Yes, I’ve written about hydrofracking; about how local rural cultures are undermined by the encroachment of retirement and second homes; and about climate change, to mention a few. My work also treats issues of class, poverty, gender, and sexuality. Bloom: You’ve described how the sound of your work is crucial, and that you work to find the right “throb” or “thrum” in your writing. Can you explain how you find this cadence and how striking that “note” affects your writing style? AP: I can’t find it by looking for it. I have to wait for it to hit and then record it. Sometimes it isn’t even words. I can record it using musical notations. Then I keep listening and playing around and rewriting until words fill in the rhythms. With certain pieces, my primary objective is to get the sound right, and I rewrite and rewrite, by hand, until I’m as close as I can come. Bloom: You also teach writing at Pacific Lutheran University. How does working with students change your perspective on your own writing? What advice do you give to your students about the process of writing? AP: At times I fear teaching has made me too self-conscious about my own writing process—I miss the days before I taught creative writing; I see those days as a kind of lost innocence—but teaching has also made me more savvy about craft and the other intellectual aspects of fiction writing. I am also energized and inspired by the enthusiasm and passion of certain students. I advise my students to read voraciously; to trust their unconscious and intuition more in the early stages of drafting; to be comfortable with inefficiency and to be patient; and to stay off electronics and social media. Bloom: Writers have the unique opportunity to explore other professions and life experiences through their work. If you weren’t a writer, or a writing professor, what other profession/vocation would you pursue? AP: I always wanted to be a veterinarian when I was a kid, but I wasn’t good enough at math. A lookout in a firetower sounds pretty appealing, too. Bloom: Can you tell us a bit about the significance of the title of your latest collection, Me and My Daddy Listen to Bob Marley (Counterpoint 2015)? AP: I’m in the very early stages of a nonfiction book with an environmental bent that, among other things, will ask readers to try out unconventional perspectives towards other species. Click here to read an excerpt from Ann Pancake’s collection Me and My Daddy Listen to Bob Marley. Tags: Ann Pancake, Bob Marley, John Steinbeck, Me and My Daddy Listen to Bob Marley, Strange As This Weather Has Been. Bookmark the permalink.